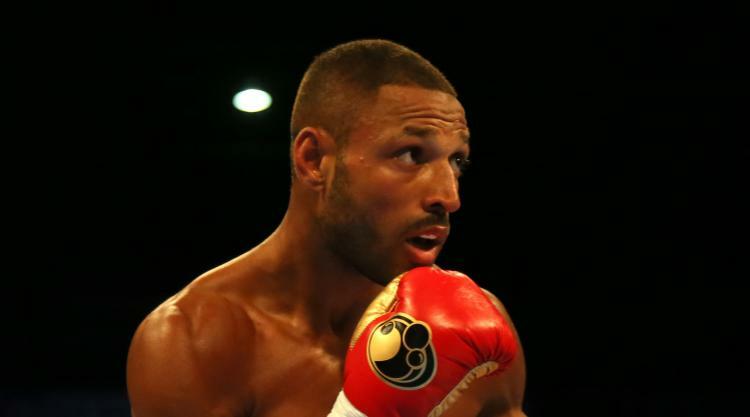 Kell Brook will begin his move to light-middleweight by fighting Sergey Rabchenko at Sheffield Arena on March 3. The 31-year-old in May lost his IBF welterweight title to America's Errol Spence and, after his long-term struggle to make the 147lb weight limit, will fight the Belarussian who ended the career of former stablemate Ryan Rhodes. His step up to 154lbs provides a further barrier to making the fight he has long wanted with Amir Khan, who is expected to return at welterweight, but gives him the chance to be a two-weight world champion. "The Spence defeat cut deep and it took me some time to come to terms with it but now I'm back with a new challenge at 154lbs," said Brook. "I will be stronger and better than ever in the division and my focus now is on becoming a two-weight world champion. "Rabchenko is a dangerous fight for the return but I want to jump straight back in at world level and our styles will gel for an electric fight. I'm already deep in camp and I can't wait to feel the atmosphere again in my home town on March 3." Rabchenko, also 31, said: "I'm really looking forward to this fight with Kell Brook and it's going to be a war. I have fond memories of Sheffield and I believe the result will be the same (as against Rhodes). This is a high-profile fight in the division that has always been mine, and the winner will go on and challenge for the world title. It's a must win fight for both of us."